Lion's Mane: Mushroom For Memory And Mood. 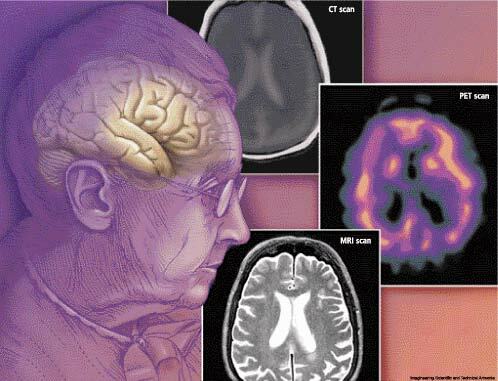 It’s been predicted that by 2050, more than 80-90 million people, age 65 and over, will be affected by age-related neurodegenerative disorders. More people are turning to alternative measures to help prevent that. A nootropic mushroom called Lion’s Mane looks promising and is drawing lots of attention for its notable nerve-regenerative properties. Lion’s Mane has been used in traditional Chinese medicine for centuries but it can also be consumed as a food. Many enjoy the taste that may have to grow on others. 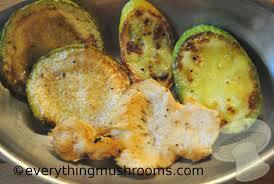 At the same time, mushrooms add numerous health benefits to our daily diet. This nutritious mushroom is roughly 20 percent protein, and some have noted that it tastes like lobster or shrimp. It’s rich in fiber, carbohydrates, vitamins, and minerals and low in calories. Why not give it a try? Lion’s Mane has been reported to help improve a number of illnesses such as Alzheimer’s, anxiety, depression, high cholesterol, inflammation, Parkinson’s disease, and even ulcers. It also improves the digestive tract function, boosts the immune system, and can help with gastritis. There is still much research to be done. Two novel classes of nerve-growth factors (NGFs)-molecules stimulating the differentiation and re-myelination of neurons- have been discovered in this mushroom so far. This means researchers have found that NGS is critical for developing neuroplasticity, and low levels are associated with many neurological diseases. 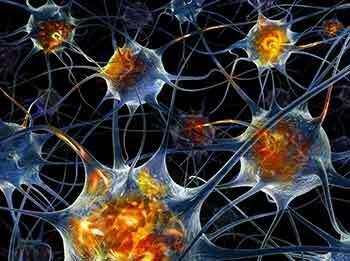 Neuroplasticity describes the brain’s ability to adapt to stimuli and to heal after injury; it is also crucial for memory retention and enhancing mood. 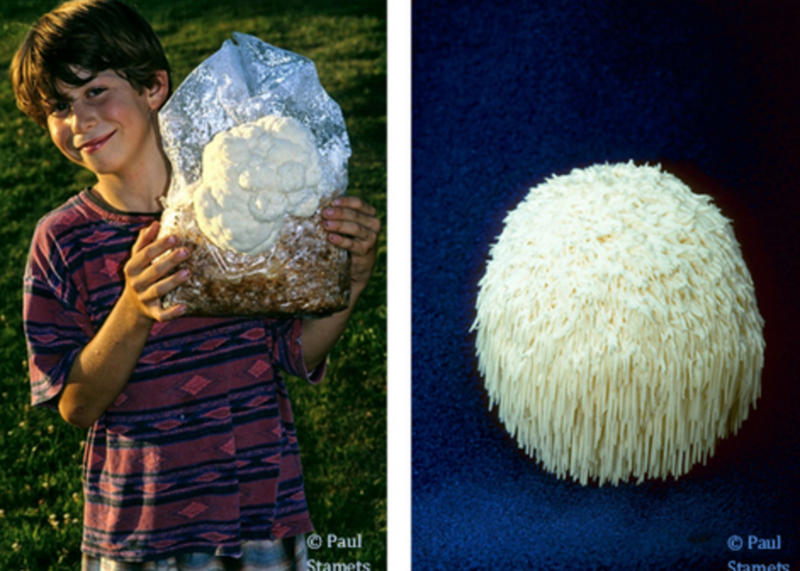 The Lion’s Mane mushroom looks a lot like its namesake; white spherical with soft spines dangling from a hidden base. The body of the Lion’s Mane can grow from 10 to 25 centimeters and the spine can range in size from 4 – 6 cm. When young, the color is a striking white that commonly makes it home on living or recently cut birch or oak trees. The scientific name for the unique-looking mushroom is Hericium Erinaceus; The word “Erinaceus” pertaining to a hedgehog, or prickly animal. Lion’s mane is also known as sheep’s head, bear’s head, pom pom blanc, and the Japanese yamabushitake. They are most commonly found throughout the northern United States and Canada. There are three species of Hericium that are found in Eastern North America. They are Hericum Errancies, H. Americanum, and H. Coralloides. “The subjects of the Yamabushitake group took four 250 mg tablets containing 96 percent of Yamabushitake dry powder three times a day for 16 weeks. After termination of the intake, the subjects were observed for the next four weeks. At weeks eight, 12 and 16 of the trial, the Yamabushitake group showed significantly increased scores on the cognitive function scale compared with the placebo group. The Yamabushitake group’s score increased with the duration of intake, but at week four after the termination of the 16 weeks intake, the scores decreased significantly.” (Mori, 2009). You can find Lion’s Mane online or local health food stores. The dosage of Lion’s Mane depends on the strength of the extract. The common dosage to feel the aforementioned effects range from 500-3000 mg per day. When searching for a Lion’s Mane supplement, make sure that it uses a combination of both hot water and alcohol extraction to ensure that all the desirable medicinal compounds are successfully extracted from the mushroom. This way you are able to get the full spectrum of benefits, stimulating the synthesis of nerve growth factor (NGF), and promoting neuroprotection.